A controversial memo which indicates the presence of friction within the National Security Council, or NSC, has been released by Foreign Policy. The memo was reportedly authored by a former NSC director of strategic planning, Rich Higgins, who was ousted from his position last month after national security adviser H.R. McMaster and other top officials reportedly learned it had come from him. Titled "POTUS & Political Warfare," Higgins' document details a "multi-pronged attack" on the president and his policies from the "deep state" including government insiders, globalists, bankers -- and even Islamists, and establishment Republicans. While McMaster was not called out by name in the document, the memo clearly implies his involvement in the plot to thwart the president's agenda, according to one source Foreign Policy talked to. Higgins, the author, is known to be loyal to Michael Flynn, who briefly served as Trump's national security adviser before resigning in February over contacts with Russian ambassador Sergey Kislyak. Meanwhile, another top official who has reportedly backed Higgins in the past is the president's chief strategist Steve Bannon, the person McMaster reportedly believes is feeding negative stories about him to right-wing news sites. While McMaster is said to have the support of White House chief of staff John Kelly, his future with Trump is viewed by some as on shaky ground. The president was reportedly angry at him for letting Higgins go, with one insider indicating the resentment is still there. Trump and McMaster are also believed to have disagreed on other personnel matters and issues like Afghanistan and Russia, notes The Atlantic. 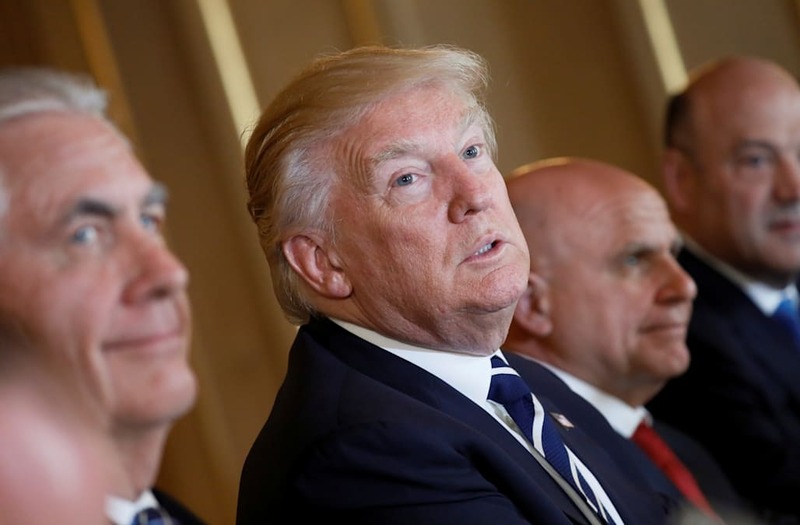 A New York Times report from May claims that the president has complained about McMaster's talkativeness in meetings and that Trump even once referred to him as "pain." However, about a week ago, Trump spoke out in support of his beleaguered adviser. "General McMaster and I are working very well together. He is a good man and very pro-Israel. I am grateful for the work he continues to do serving our country," he said.